Pictured: Promise Ambassador and former Welsh international rugby player Dafydd James with Wales women’s national rugby union team players Hannah Jones and Kelsey Jones. 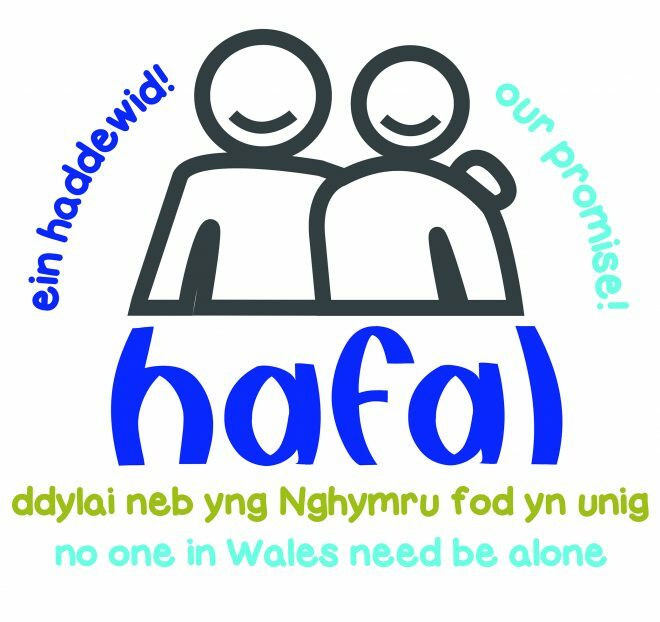 Summer 2019 sees the launch of our Hafal’s Promise Campaign to combat loneliness and isolation: Hafal’s Promise is our commitment to ensure that no one in Wales need be alone. The Campaign will be launched in Cardiff at the Principality Stadium on 15 May 2019, followed by 22 county events across Wales which will include the Royal Welsh Show and National Eisteddfod. The Campaign will conclude with a celebration at the Senedd, Cardiff Bay on World Mental Health Day on 10 October 2019. The Campaign will be led by our Promise Ambassador Dafydd James. Hafal supports people with mental health problems – with a special emphasis on those with a serious mental illness – and their carers and families; we also support others with a range of disabilities and their carers and families. 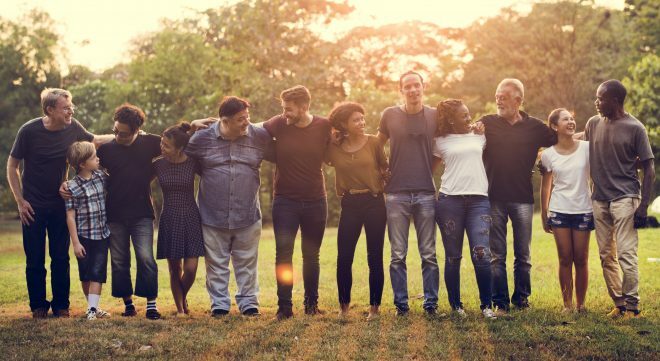 Although Hafal has a specialist role in the mental health field and this forms a major part of our work we also support our wider client group’s ambitions to achieve equal or equivalent outcomes. Hafal is committed to providing help, support, advice and friendship for all our client group in Wales, including carers, and because we feels so strongly about this, we will take responsibility ourselves wherever necessary to ensure that they will not have to cope alone. This means that Hafal’s services across Wales will never turn away anyone in our client group. To every person in our client group who seeks our help we promise lasting friendly contact through membership of Hafal and through our online community Clic, by email, social media, on the phone, or in person depending on what is practical. If you want our help just ask and we will keep our Promise. Our research shows that a high percentage of people in our client group experience loneliness and isolation. As a Member-led organisation we think that is unacceptable. Our Campaign is timely because the Welsh Government will announce its own new strategy on tackling loneliness and isolation later this year. A consultation took place between October 2018 and January 2019; you can read the summary of responses in a consultation report here, and you can read Hafal’s response here. We welcome the Welsh Government’s commitment to address loneliness and isolation – but we need to make sure that priority is given to those with the highest need – people for whom the Welsh Government, the NHS, local authorities and other providers have a direct responsibility through vital health and social care services. And in addition to campaigning for a fair and focused strategy, we’ll make sure people with a high priority have our friendship by delivering Hafal’s Promise across Wales! As well as attending our events across Wales you can support the reach of the Campaign either by spreading the word or by following the Campaign on social media (and using the hashtag #hafalspromise).